If you are like any man or even a woman, you probably have a wide variety of tools stored in different places around the house. Maybe you have random screwdrivers somewhere in the basement, garden tools like rakes and hoes in the garage, and power tools stuffed in the tops of closets or even in the kitchen counters. However, if you do not pay attention to how and where you store your power tools, or any tools, correctly, they can be damaged or broken. And that is not it. The common problem we all have is not knowing where we placed something. What is worse than not being able to find a tool when you desperately need one? Keep on reading to find out some useful ideas on storing your power tools. First things first, you need to clean and declutter your garage, workshop or basement. Basically, you will need to clean any place you consider appropriate for storing your tools. Bear in mind that it has to be a dry and covered room. Go around the house and start collecting all your tools that have been laying around. You will probably find them in random places all over the house and yard. Completely clean your workshop, and prepare yourself for some organizing. No matter what kind of tools are currently in your possession, it is important to take some time organizing them. After all, they are your investment. And you will want them in good condition when it is time to start that next DIY project or some other job. Organizing and storing power tools is extremely important. Not only is it important for their safety, but also for yours! Decide What is the Most Important and the Most Used! If working with hand and power tools is your job, you probably have many of them in your garage. 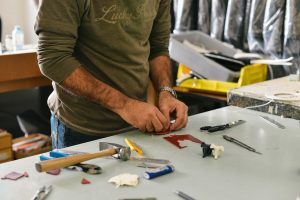 Also, many people have a lot of tools for their DIY projects. But sometimes, we get reckless and buy more than we need. In those cases, our garages get over-crowded with tools, cables and all sorts of stuff. So, it might be a good idea to start using warehouse Japan that is safe. In this way, you will be able to maximize your space at home. But first, you should make a list of things that are used the most. And, what is left should go to a warehouse. There are a lot of warehouses in Japan, so try to pick the one that is closest to you, since all of them are safe and have the relatively same pricing. Storing your tools in a warehouse is a great idea if you have many of them. Before you place them in the warehouse, or in your garage, make sure that all of your tools are clean and are working properly. If they are not working properly, get rid of them. Power tools which are out of order are very dangerous for use. You are dealing with power and electricity, so, be careful. After this purge is complete, the rest of your power tools need cleaning. It is best to clean them after every use. You can clean them using water and oil and some towels or rugs. When you finish cleaning them, put them in their original boxes, or some bins you have. As previously mentioned, think about putting them in a warehouse. It will save you a lot of space and nerves. You can always consult a Japan logistic company. Follow the instructions on the box – Usually, manufacturers will have specific instructions about storing your power tools written on the box. So, it will be a good idea to consult your manual first. It is necessary to follow these instructions, especially for those larger power tools like saws or drills, so they remain in good working condition. Use original cases – One of the best ways you can store your power tools is to keep their original boxes. Those are usually hard plastic or cardboard cases. They are the right size for your power tool, so you do not need to find another bin for it. Invest in sturdy storage containers – If, however, you did not keep the original box, it is a good idea to invest in some sturdy containers. This will make your tools well organized and easy to transport to your next project area. 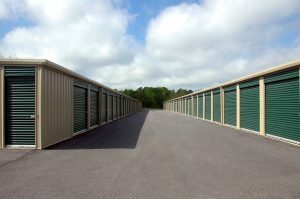 Store in a safe, dry place – Storing your power tools in a safe and dry place is the most important thing you should do. Make sure that your garage, storage or warehouse is completely dry and clean as much as possible. If your power tools get in contact with water, you might get hurt, and they will most certainly break. 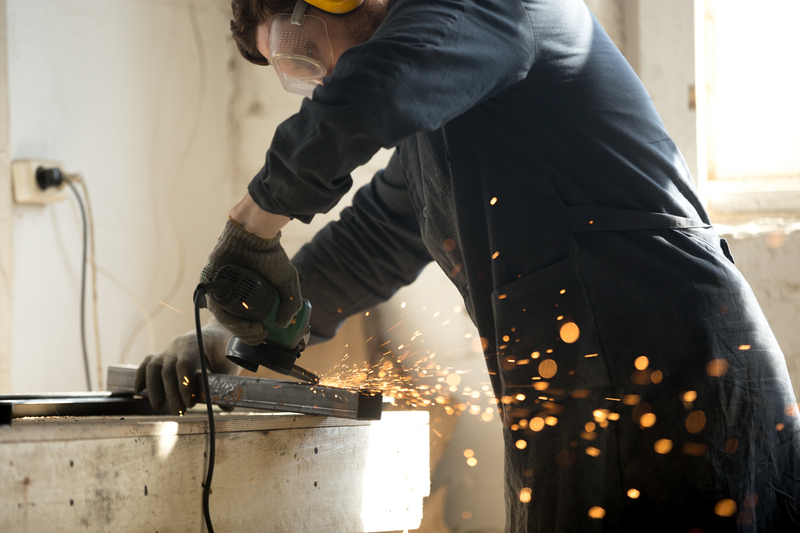 Remember to always wear protective gloves and face masks when dealing with power tools. Go vertical – think about investing in some shelves for smaller tools. Or hang pegboard along your workbench or on a wall in your garage or basement. You will be able to hang things like wrenches, hammers, box cutters, garden equip, ent and many other tools. This way, they will be easy to access at any time. Never on the ground – Your power tools should never be on the ground! It is nog good for safety reasons. They might get damaged and you might get hurt.